15 Awesome Ways to Use Wicker! Wicker. I love it. Don’t you? A wicker piece of furniture is so classic and never goes out of style. I love the way wicker can give any space a casual and summer-y vibe. It looks great in it’s natural form, but can also be so pretty painted a new color. You can always find wicker furniture in need of a little TLC at a garage sale or thrift store, which you know I love! There are so many fun ways to use wicker, so when Hometalk asked me to curate a clipboard highlighting different ways to use wicker, I happily agreed. 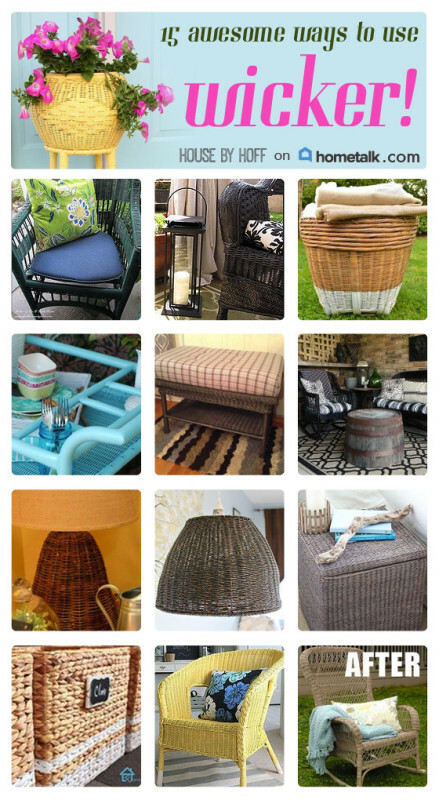 Pop on over to see my Wicker Projects clipboard on Hometalk for some wicker inspiration!